I told you I’d be back. As promised in Top product updates from 2017 – Part 1, here is Part 2 of our favorite product updates that were released in 2017. So, what are our favorite Benefits Management and Year-End Forms updates from 2017? Let’s take a look. Benefits meets GP HR Status. Previously, the Greenshades Benefits module used the term “HR Status” and “Employment Status” to refer to various items, interchangeably. Employment Status is now always used to report these statuses: Active, Inactive, and Terminated. Greenshades Online’s “HR Status” will now exclusively pull from the HR Status field in GP. For example, Family Leave, Maternity, Retired, etc. Why do we like this? Increased visibility to data found within the HR module always makes us , since that allows for user ease of access and reporting. Additionally, the consistent terminology should make it easier for all users to identify the source of the information. Why should you like this? Not only should the user experience improve, but pulling from this GP HR field allows more flexibility for reporting data within the Benefits portal. Company name and city added to Benefits Email notifications. 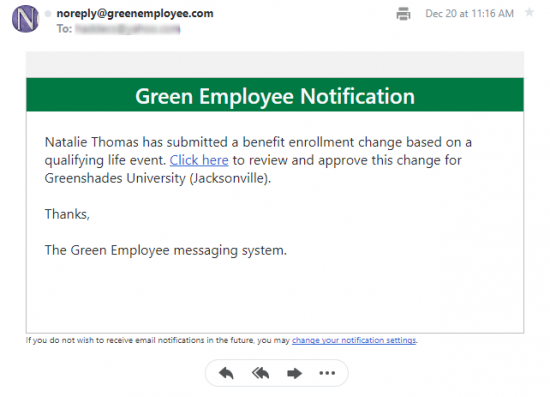 The email notifications triggered to applicable Greenshades Online Administrators regarding a benefits enrollment event (such as qualifying life event) have been updated to now include the company name the request came from, as well as the city the company is located in. Why do we like this? While I might spend much of my day using the Greenshades Online and the Green Employee portal in a testing environment, I’m not typically just hanging out killing time in my live employee portal. That’s why I love getting email notifications. I can get email notifications for pending action items (such as an approval request), or I can even be setup to receive a notification just letting me know something has been completed. Having the company name and city included in these notifications will help employers with multiple companies. Why should you like this? If you have multiple companies you oversee, these notifications should be very helpful. For example, many Greenshades Online Administrators have access to multiple companies, however they are only responsible for approving change requests in one of these companies. So, in a scenario where an Administrator receives email notifications from multiple companies, the company name and city on the email will let the Administrator know whether it’s an action item, or something they can file and move on. 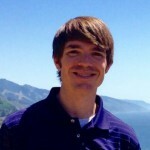 Link to Employee Services setup on Year-End Forms. Sure, employee access can be turned on for the tax forms, but do you already have the employee access settings completed on the Access Settings page? Now, Year-End Forms includes a help message with a hyperlink explaining the workflow. Why do we like this? I was thrilled to hear about this for the first time! In many cases, Greenshades users would upload W-2 or 1095-C tax forms to Greenshades Online for the first time, and enable tax form employee access on the actual tax forms, but employees were still unable to access their tax forms online. Was this a bug? Not at all. The companies had not yet completed the full setup. Now, this additional text and hyperlink should help avoid that confusion. Why should you like this? The Employee Access Wizard on Year-End Forms is a great resource for companies who would like to allow their employees to download the recipient copies electronically, in lieu of receiving a paper copy. If this will be your first time enabling access, this new text and hyperlink will help cut down on any confusion. However, what if you are not a new user? This can still benefit you! Even if you have previously setup the employee access, this additional text and hyperlink, is a great reminder to go in and review the employee Access Settings page. You can also take this time to review your Year-End Security Checklist for Green Employee. New W-2 edit and correction workflow on Year-End Forms. Need to make an edit? No problem. Edits are now easier than ever. 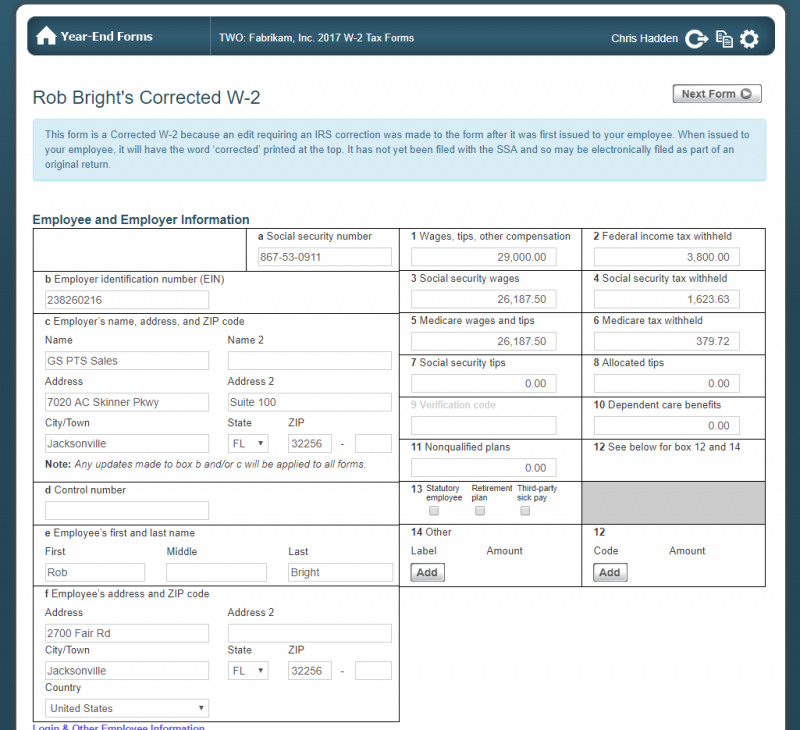 First, the W-2 edit screen has been updated to reflect the look of a W-2 form. Interestingly, for those of you who may have been using Year-End Forms for multiple years now, you may notice this new edit page is almost a blend of our two most recent Year-End Forms edit tax forms screens. However, there’s more. Now, when Greenshades Online Administrators edit a W-2 tax form, Year-End Forms will intelligently determine the appropriate status of the W-2 tax form based on the type of change being made, and the distribution status of the W-2 form. More information can be found in the Making Form Corrections section of the Year-End Forms user guide. REISSUED W-2 Status – A change is made to an employee’s form that does not affect the employee’s 1040 return, but the change should still be reported for accuracy to the employee. CORRECTED W-2 Status – A change is made to an employee’s form that the IRS has identified as a significant change that the employee should have accurately reflected on their W-2 form as to accurately report on their 1040 return. W-2C Status – A change is made to an employee’s form, post-filing, that the IRS has identified as a significant change that the employee now requires a W-2C form to detail what was Previously Reported on the originally distributed form and what the Correct Information is that will be re-E-filed and reported to the SSA. Why do we like this? When the IRS accelerated the W-2 filing deadline, we had a suspicion that W-2 corrections may start seeing an uptick. We are very happy to offer an easier process for handling these W-2 corrections. Why should you like this? Who isn’t looking to save time in January? Hopefully you won’t need to make any W-2 corrections, but if you do need to, you will know that Year-End Forms is capable of quickly and correctly handling the request. For future updates on changes to the Greenshades Benefits Management and Year-End Forms products, please be sure to follow the Greenshades Blog and reference the official Greenshades Benefits changelist, and Year-End Forms changelist. If you have any new Greenshades updates you would like to see made in 2018, please let us know. We value our customer feedback, so we would love to hear from you. Please share your feedback with us via Greenshades Online. Select the bullhorn icon (in the top-right hand corner of the screen), and select Offer Suggestion. If you’re not yet using Greenshades Online Employee Services, don’t let another year go by! Find more information or request a demonstration on our website. 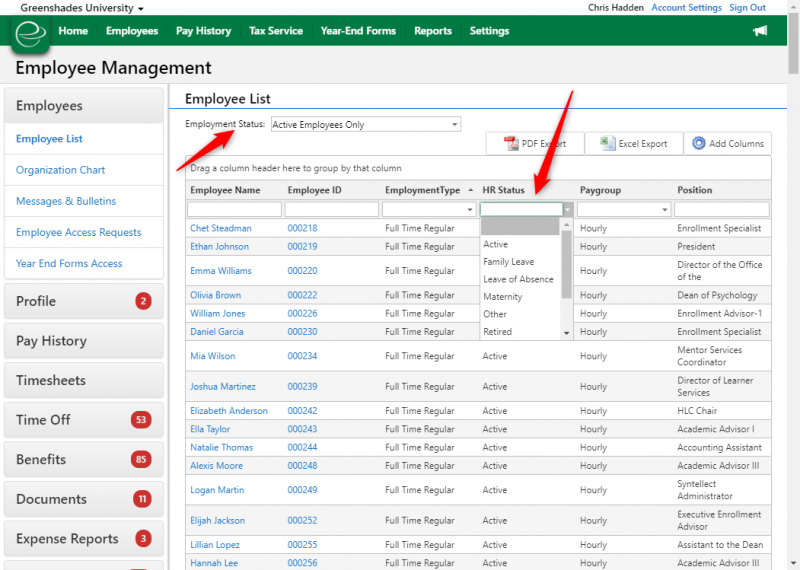 Click here to read Part 3 of this blog: Payroll Tax Service and Dynamics Payroll Inspector.